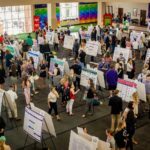 Register your research or creative work with us! 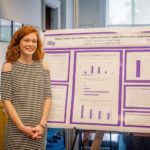 One goal of the Office of Undergraduate Research and Creative Works is to track all the independent scholarly and creative works HPU undergraduates engage in. For an accurate record we need your help by completing a very brief survey at the bottom of this page. To know what you are working on we would like you to “register” your activity with us using the URCW Registry Survey below. If you are working on a project with a faculty mentor (more experienced guide or teacher) whether you are helping with a professor’s work or being helped by a professor with your work, when asked on the second page of the URCW Registry Survey “what you would like to do“, click on “Register a Mentored Project“. Later if that work leads to a presentation you would start the same form but when asked what you would like to do, click on “Register a Presentation“. If you will be participating in a performance or competition, when asked what you would like to do click on “Register a Competition/Publication“. Finally, if you work leads to a publication, please once again call up this form and on page 2 when asked “what you like to do”, click on “Register a Publication“.Each of these will take you only a minute or two to complete. If you have any questions, feel free to contact URCW director, Dr. Joanne Altman at jaltman0@highpoint.edu.